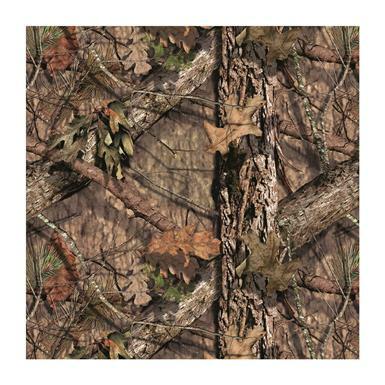 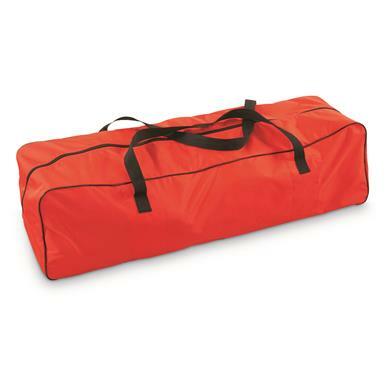 Measures 34" x 25" x 37"h., 13.12 lbs. 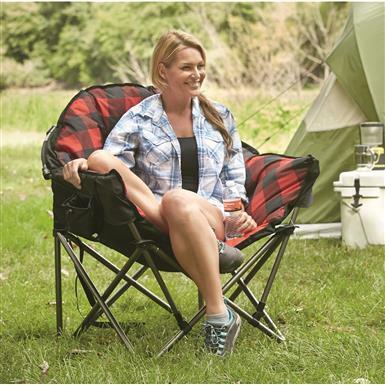 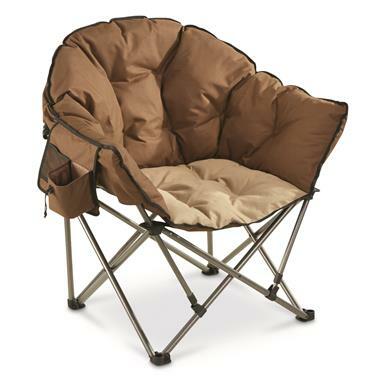 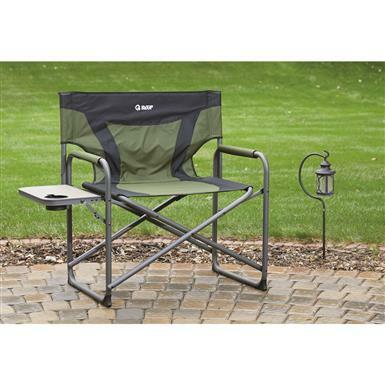 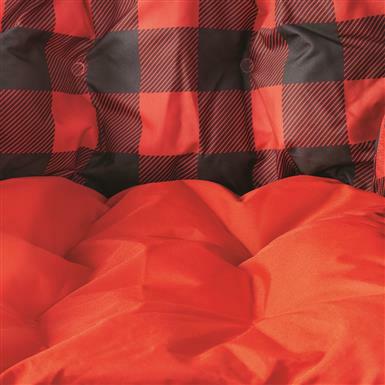 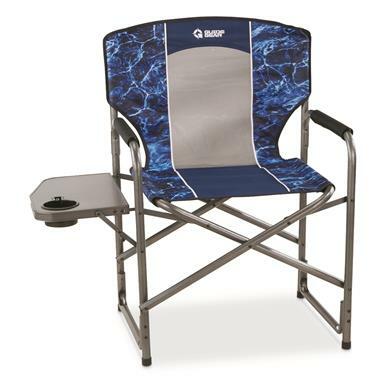 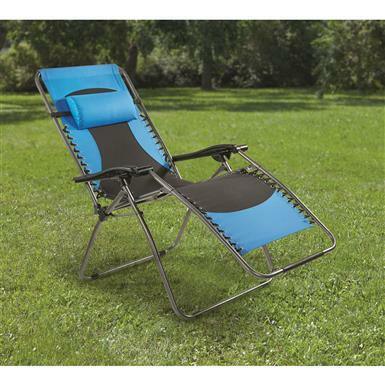 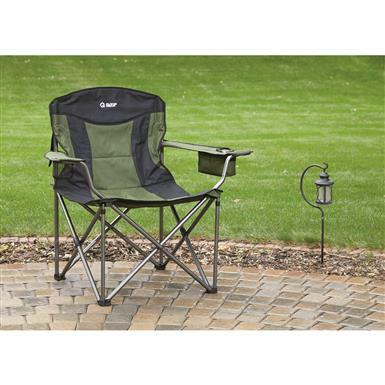 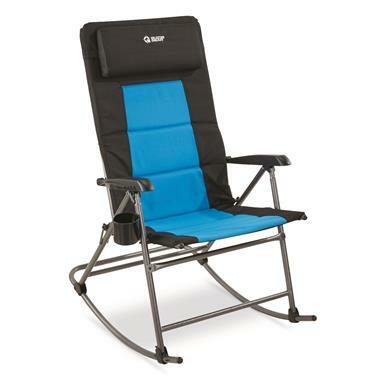 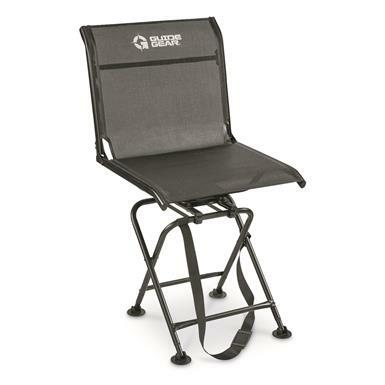 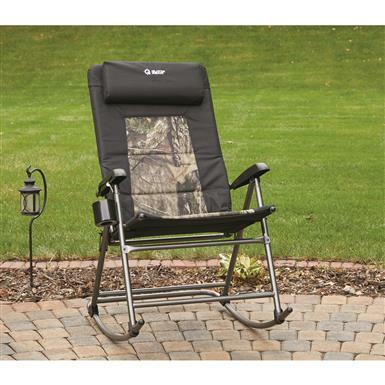 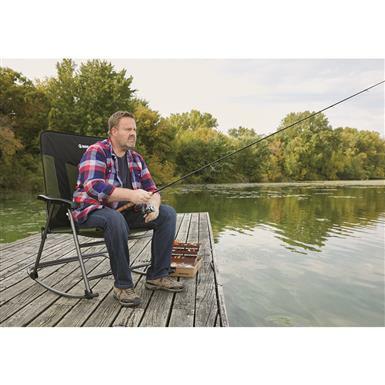 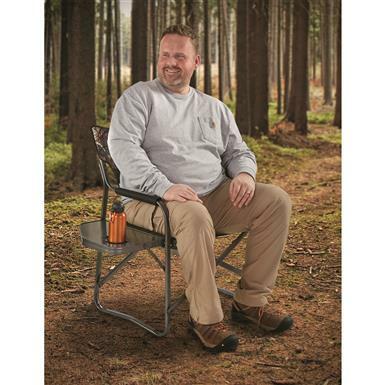 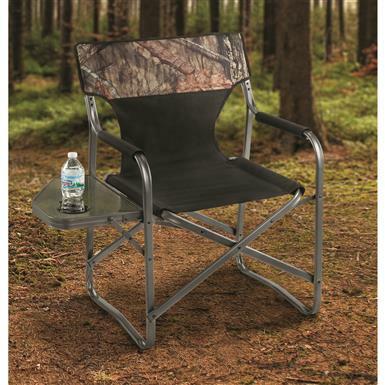 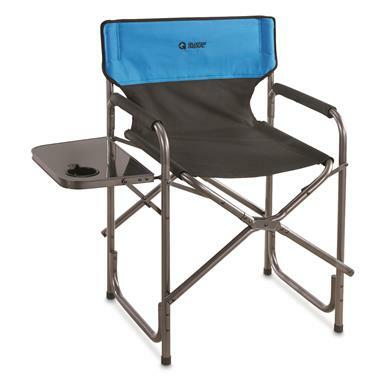 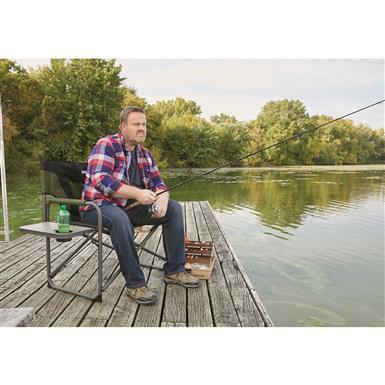 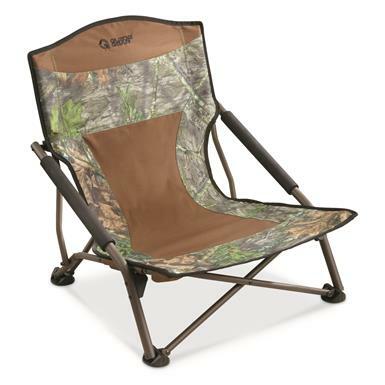 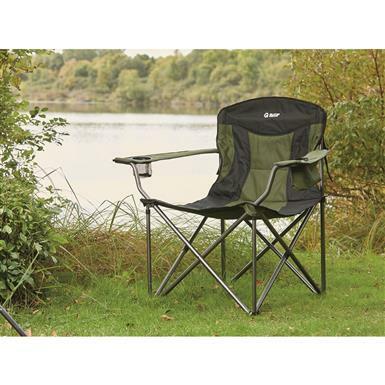 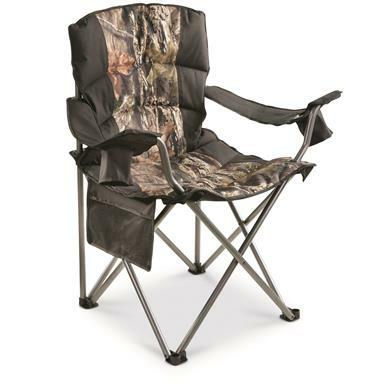 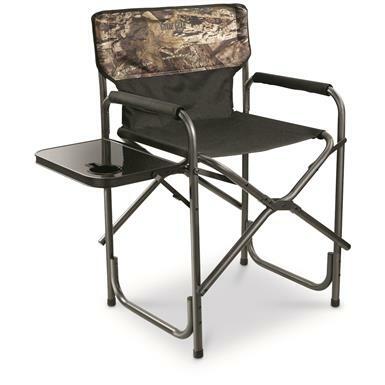 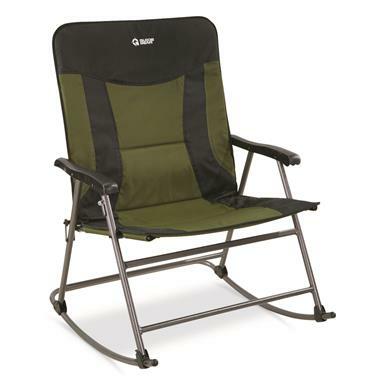 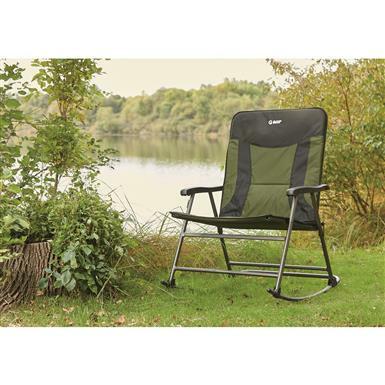 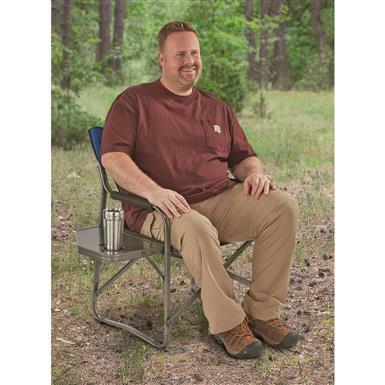 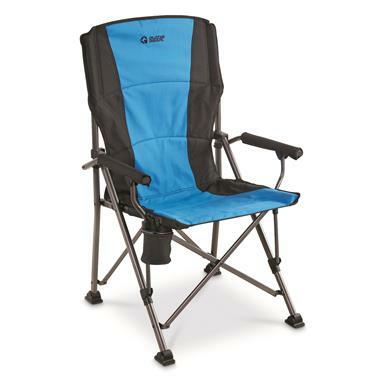 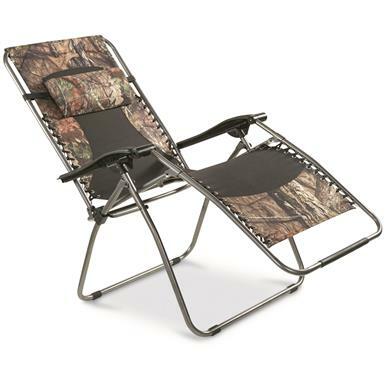 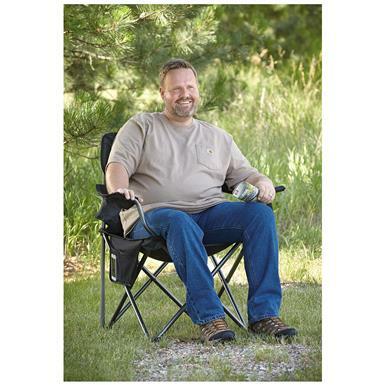 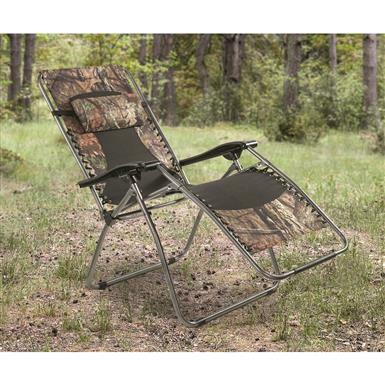 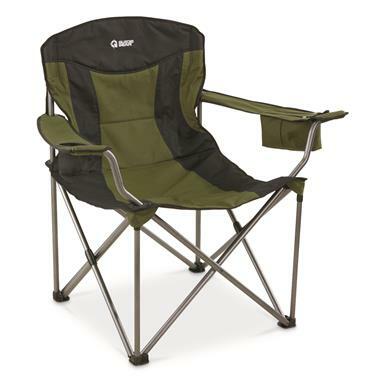 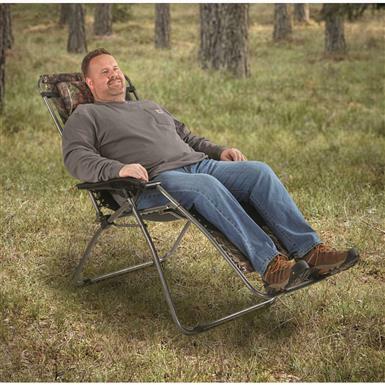 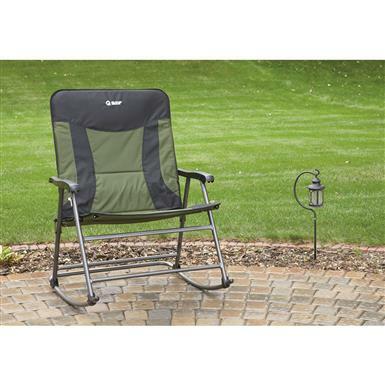 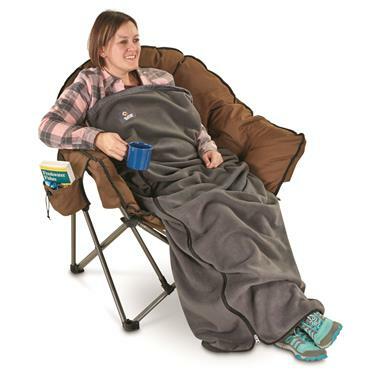 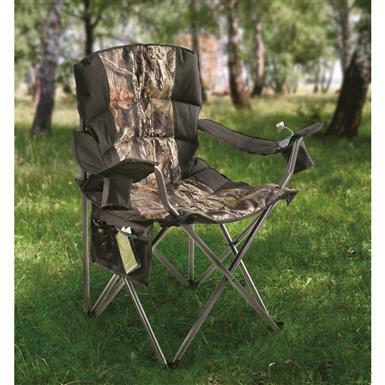 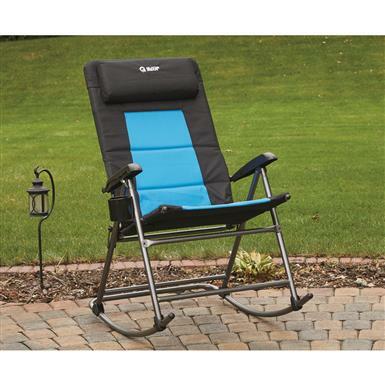 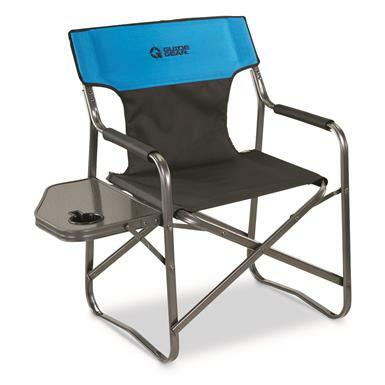 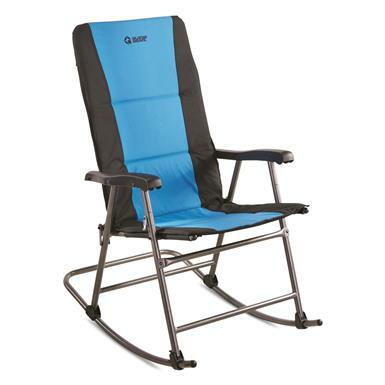 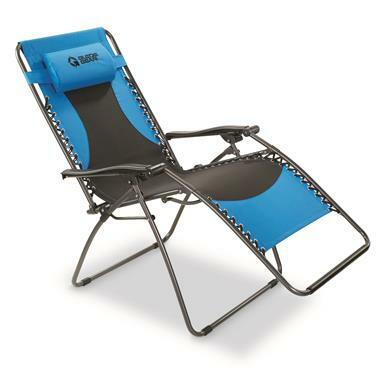 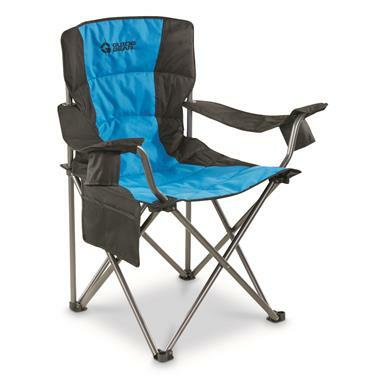 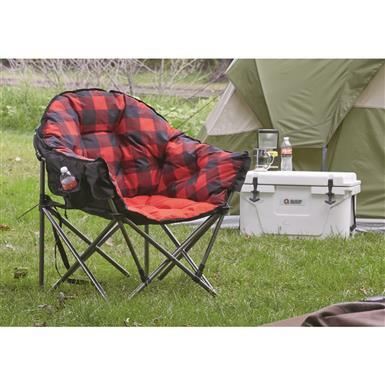 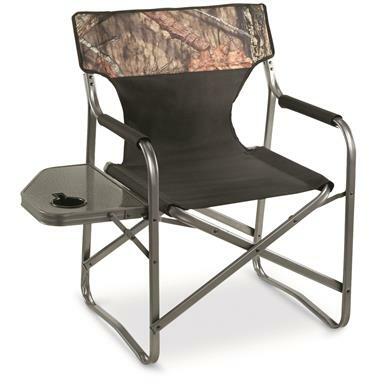 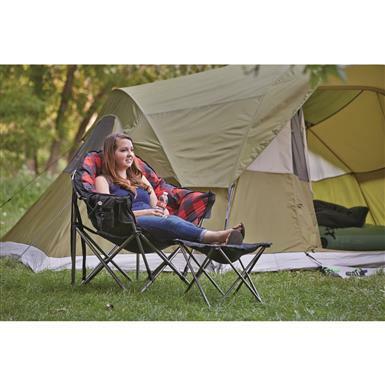 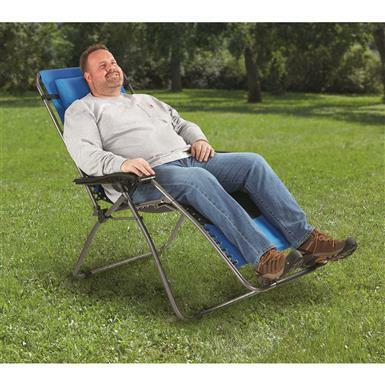 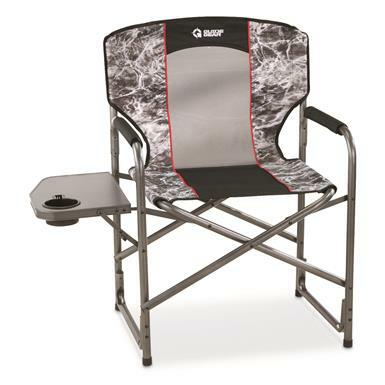 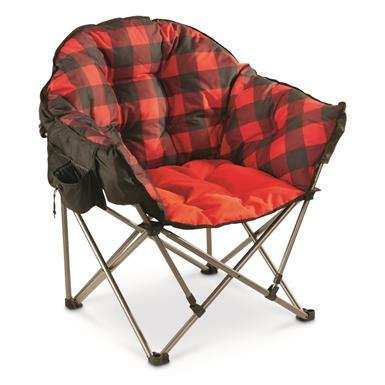 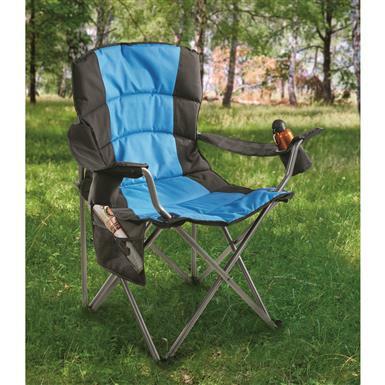 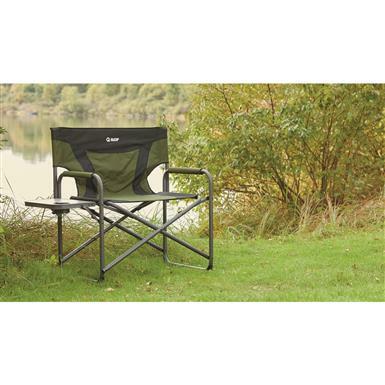 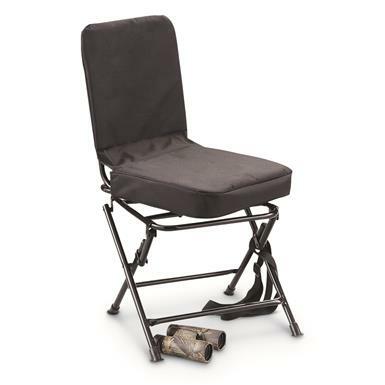 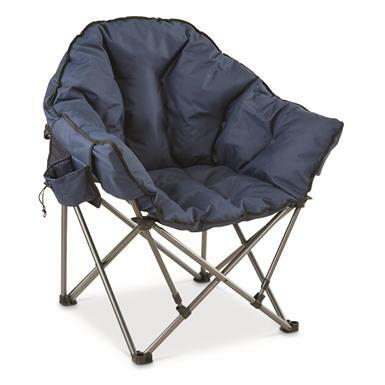 The most comfortable camp chair on the planet. 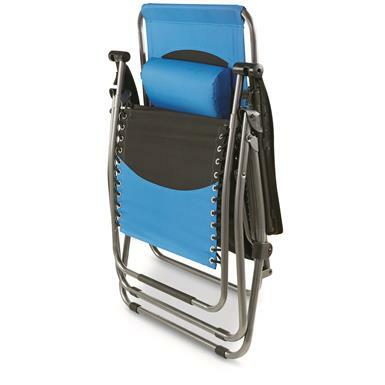 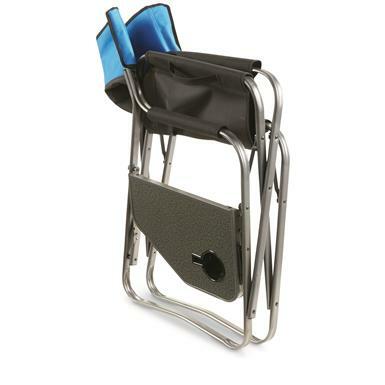 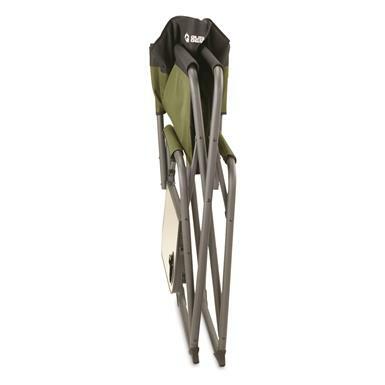 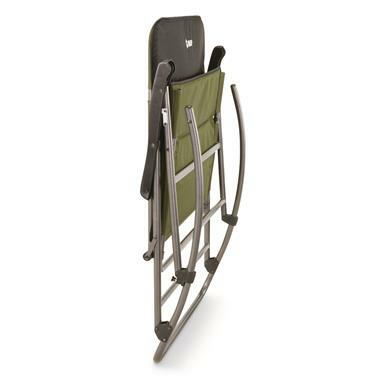 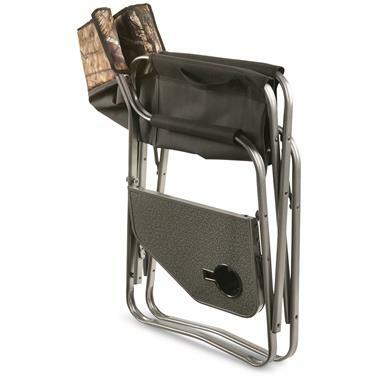 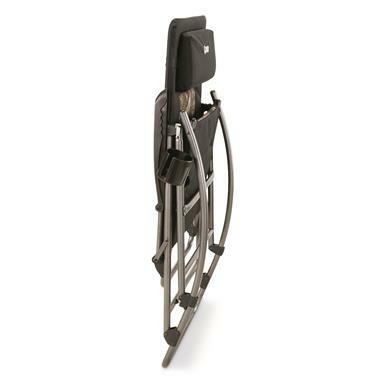 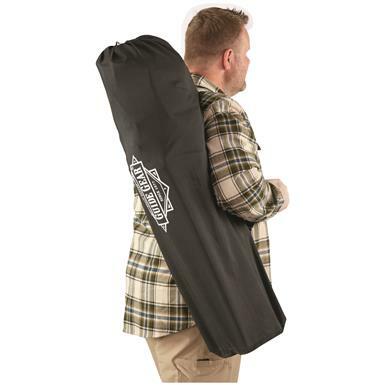 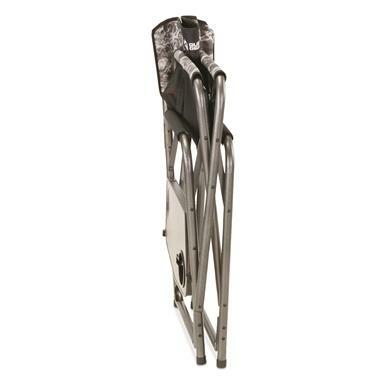 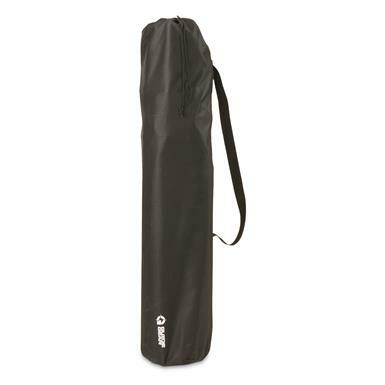 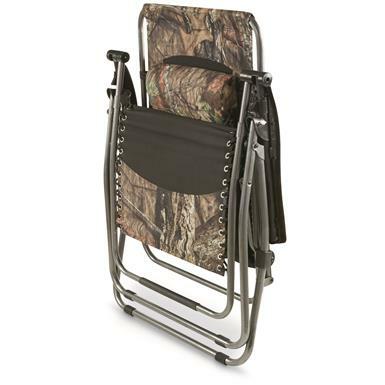 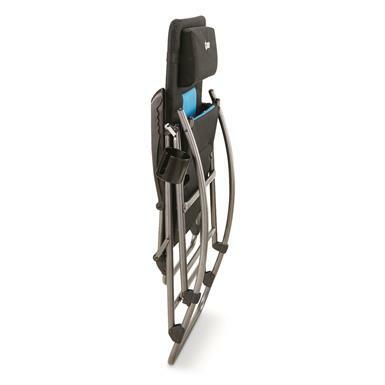 Sturdy steel tube frame supports up to 600 lbs. 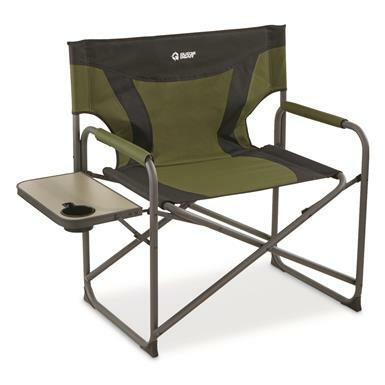 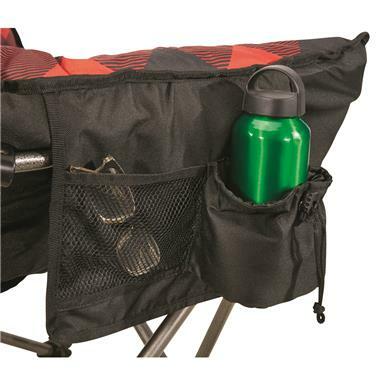 Extra-roomy seat is 27"w. x 22"d. x 18"h.
43" x 27" x 40"h. overall, 14 lbs.